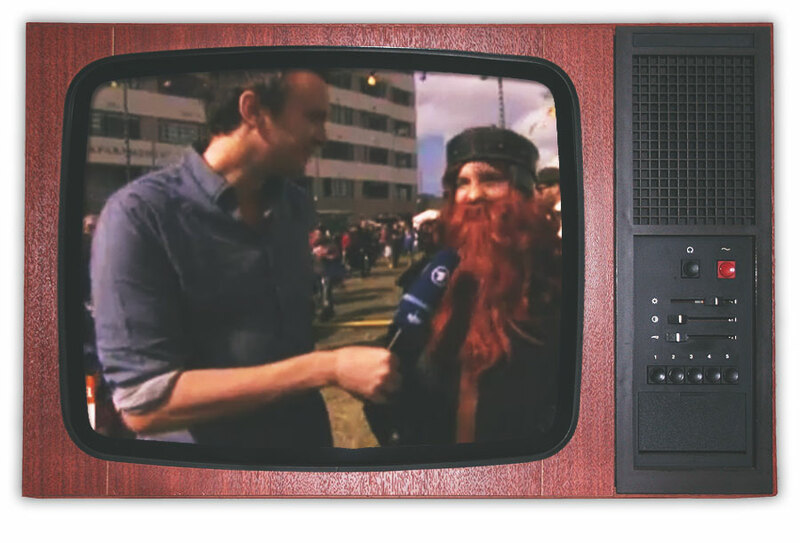 The TV thing about the Hobbit premiere has been on German TV yesterday. Embedding their weird Flash player wasn’t really working but you can check it out in the ARD Mediathek. This article was published 7 years ago and has Comments Off on Guten Morgen Deutschland. Has your boss ever told you to “post that on reddit, dude”? 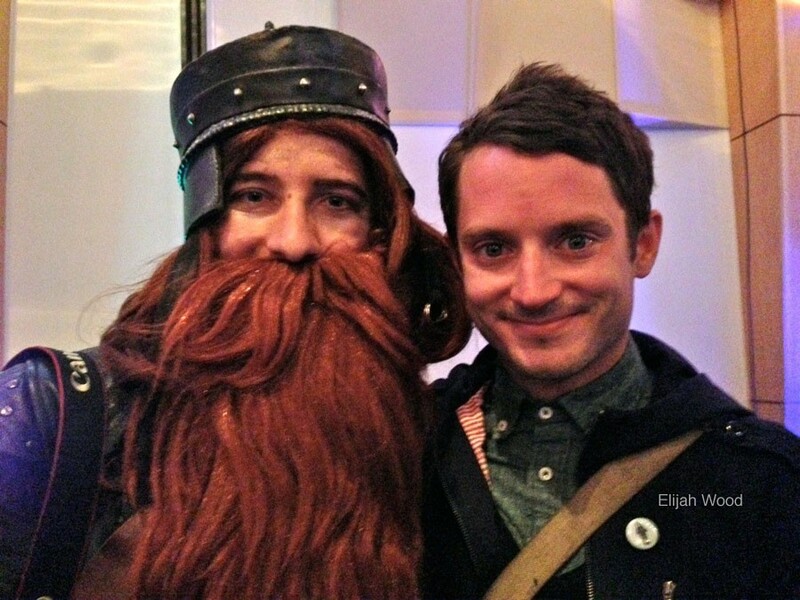 Well, I had to agree that uploading some of my memories of the Hobbit premiere was a good idea so I selected the photos that hold my dearest memories and posted them on reddit. The next moment I check, my post has taken off and is getting about 100 upvotes per minute. Comments keep coming in at a rate where you start having troubles reading them in real-time. And then, suddenly, my post appears on the bottom of the front page, gets noticed by some friends that mention me on twitter and is still actively being upvoted. I finally end up on 2nd place, just after an actual relevant announcement by NASA. Wow. 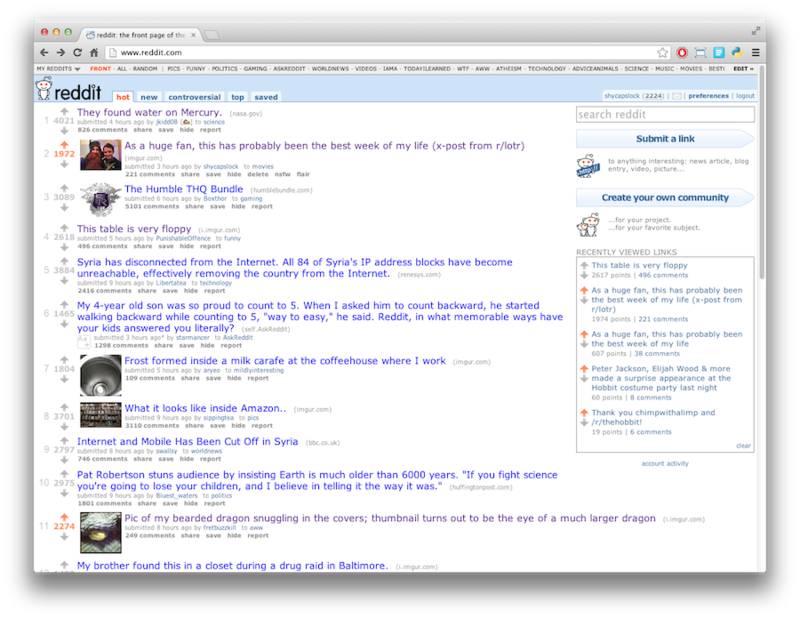 My post is just about 3 hours old – with recent posts being ranked far higher than older post with potentially more upvotes. It looks like it would be staying on the front page for at least one more hour. But suddenly, it disappears. You can still read all the comments in the thread, but the post is not listed any more, neither on the front page, nor in /r/movies where I had created the post. A few messages later I learn what I was suspecting, it had actually been removed by a moderator. Fair enough. The /r/movies subreddit is meant for discussions about movies, so I see how the post does not really fit in there. 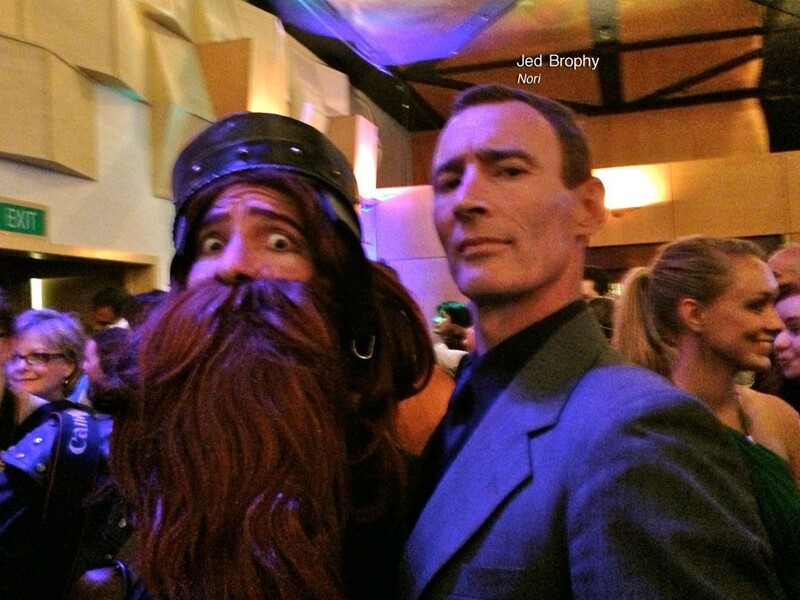 I had my moment of fame and heaps of fun in the process, so that doesn’t bother me. In retrospect, I am surprised by how fast that post took off (and by how few offensive comments I got), also I am quite happy that I made the front page with my original content and not just a screenshot or some random link to something I haven’t created myself. An interesting side story is how people were confused as to why the newspaper had my reddit username in it and not my actual name. 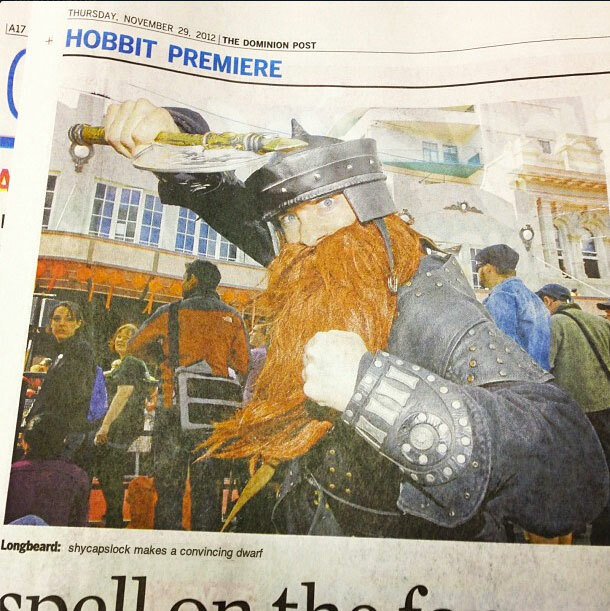 Many suspected a karma conspiracy of how I must have actually told the newspaper to use my username. People showed up with some forensic analysis of how which part of the picture could have been manipulated. This is pretty impressive, in particular because I have actually labeled the picture as “shopped” in the gallery. No one seemed to have read those captions. 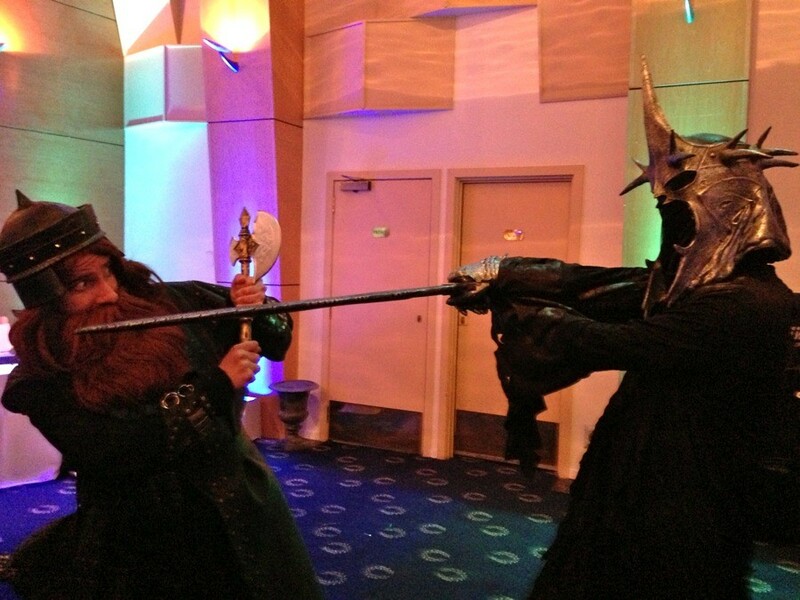 So yeah, this looks like an appropriate ending of my exciting days around the Hobbit premiere. As for the movie, I am listening to the soundtrack a lot right now and can’t wait to see it in about 2 weeks time. My only hope is that it will be better than Skyfall which I’ve seen last night. While characters, cinematography and soundtrack where impressive, I was disappointed by the plot. But that’s a different story. Make sure to check out yesterday’s video from Wellington as well. People who follow me on twitter have already seen that yesterday has probably been the most exciting day of my whole stay in New Zealand. 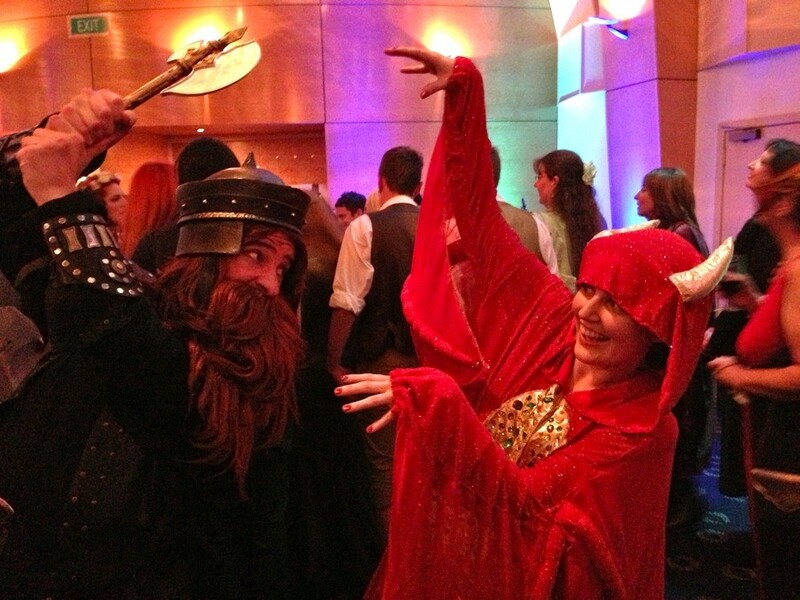 I went to the Hobbit costume party (organized by theonering.net and Red Carpet Tours), just hoping to have a good night. 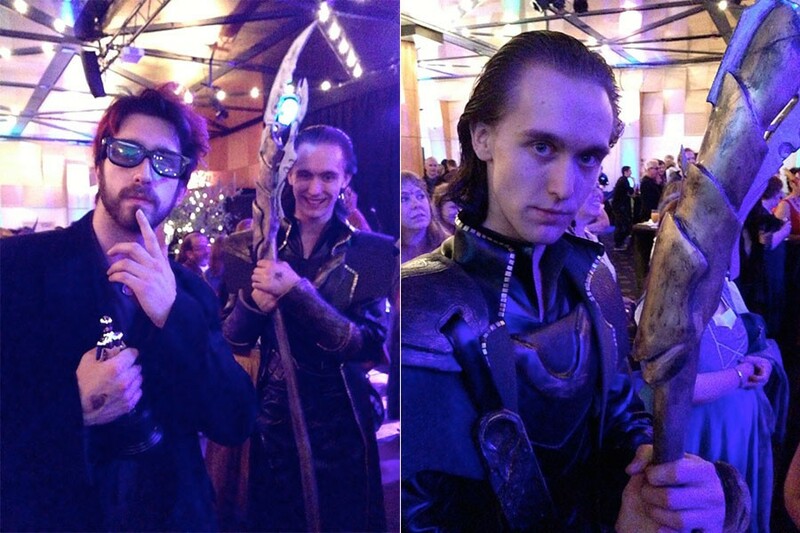 Without any previous announcement, suddenly Peter Jackson, Elijah Wood and a lot more from the cast and crew joined us and took their time to make this an amazing experience for everyone who was there. 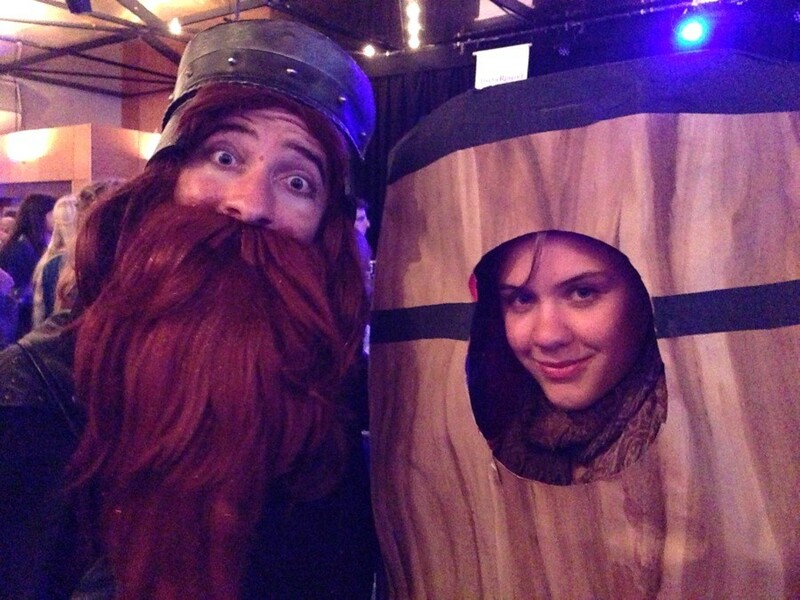 Besides taking these pictures that will remind me of this day I had a very good time meeting a whole lot of people in amazing costumes (just check out the barrel!) 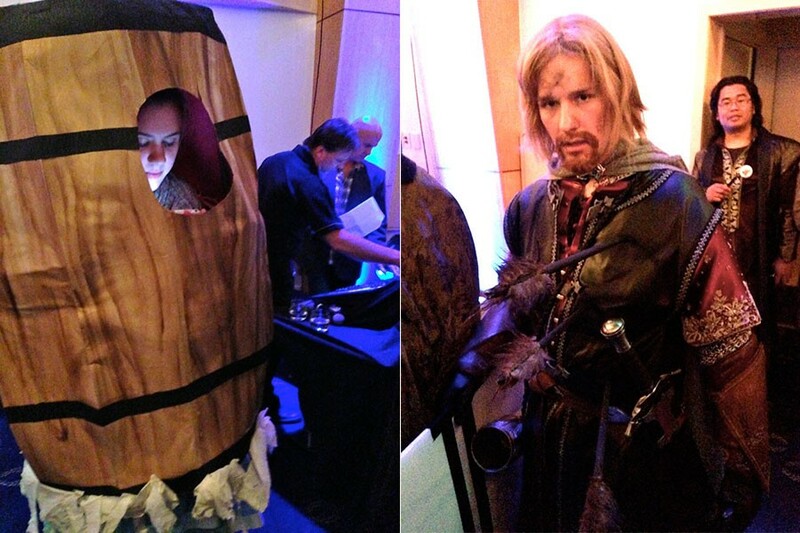 and talking to some people from Weta workshop and Wingnut Films to hear some of the background stories. Another fun part was walking back home chatting with a guy who turns out to be Sadwyn Brophy. Good fun. 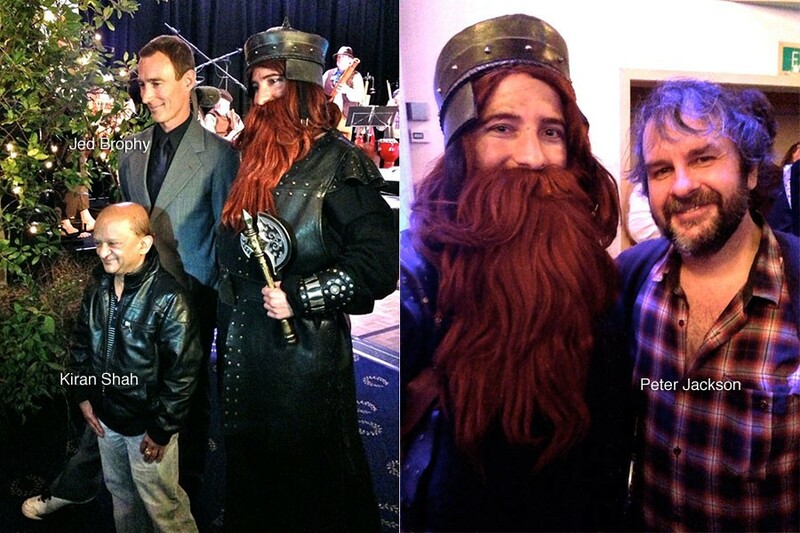 But the highlight for me has definitely been the possibility to just say “thank you” to Peter Jackson in person. This article was published 7 years ago and has 7 comments. 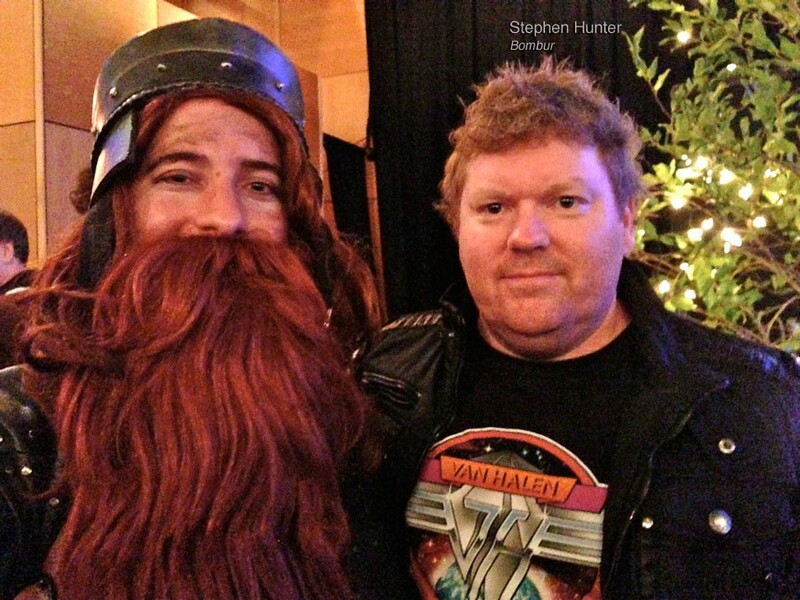 Follow me through Wellington as I explore some of the Hobbit excitement three days before the global premiere. For my German readers: Mir wurde gesagt, dass der Beitrag in der ARD am Donnerstag im Morgenmagazin gesendet wird, aber dass einige Schnipsel eventuell auch in den Tagesthemen landen. Mal schauen wie das wird, ich glaube ich habe manchmal Blödsinn erzählt. This article was published 7 years ago and has 4 comments. Have you ever started thinking about things you want to achieve in life? Have you started making a list? 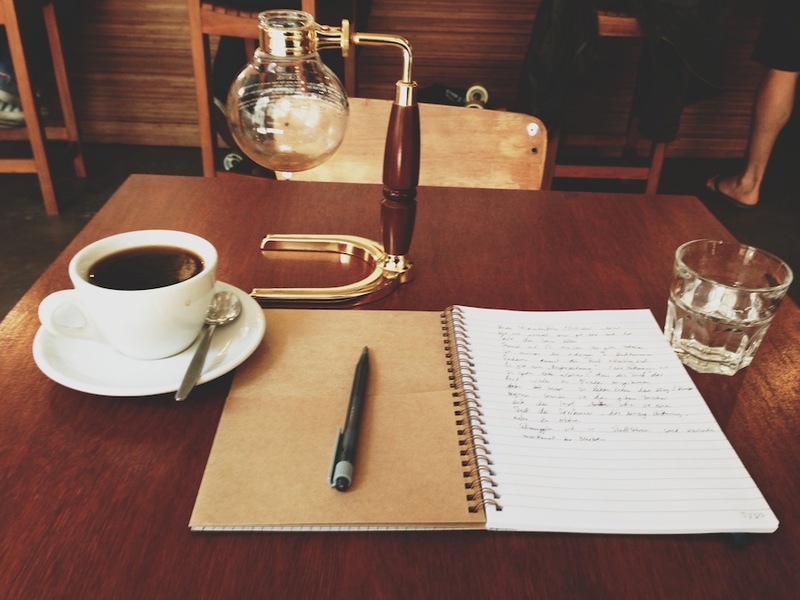 While nailing down specific life goals is nothing I’m usually good at, there is one item on my own list that has always been coming back: I want to write a book. At the same time, this has always been one of those things that I would put on the list of “things to do later”. Later, when my life is at a different stage, when I have everything else sorted out and find the time to just do what I like. That’s what you keep telling yourself, right? Well, I don’t think life works that way. So when I came across the National Novel Writing Month, a chance where people all around the world sit down for one month and just keep writing till they reach 50,000 words and have a first draft of an actual novel, the idea of writing a book popped back in my mind. Why wait till you’re older? Why wait till you have a brilliant idea for a complete plot? Exactly. So when the first day of November came by I just took the first idea I had in mind and started writing. 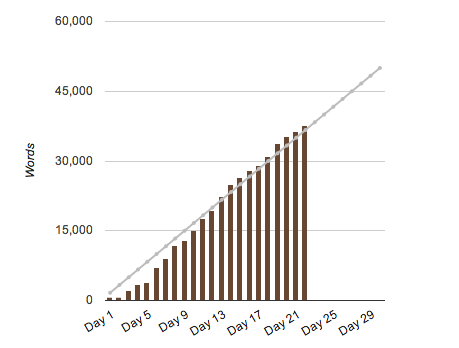 To my own surprise I have been writing every day since and am on a good way to actually reaching the 50,000 words goal.